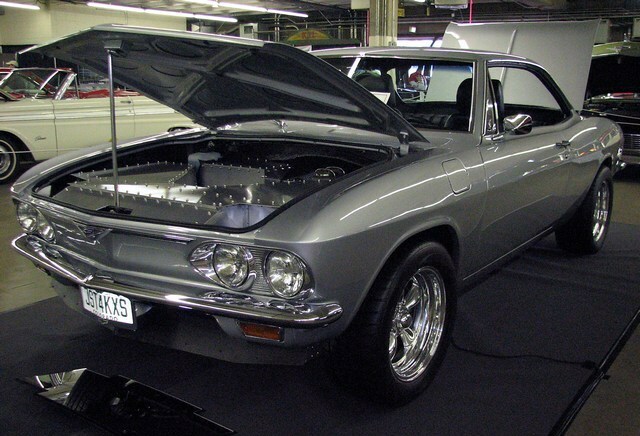 My interest in Corvairs started in '75 with the 455 Olds Tornado conversion. By '77 I lost interest in it and came across a '66 Corsa with 24,000 orginal miles, never wrecked with an alumiumn 215. 4 months after buying the car, the cam lost a couple of lobes. So the car sat in storage until 2002. Then the build started. Engine: Rover cross bolt block, bored and stroked to 296 c.i. Ross pistons (11.5), SBC Eagle rods, Comp Cams Roller reverse rotation, Manley custom made valves in 300 Buick ported, polished, cc'd, roller rocker heads. 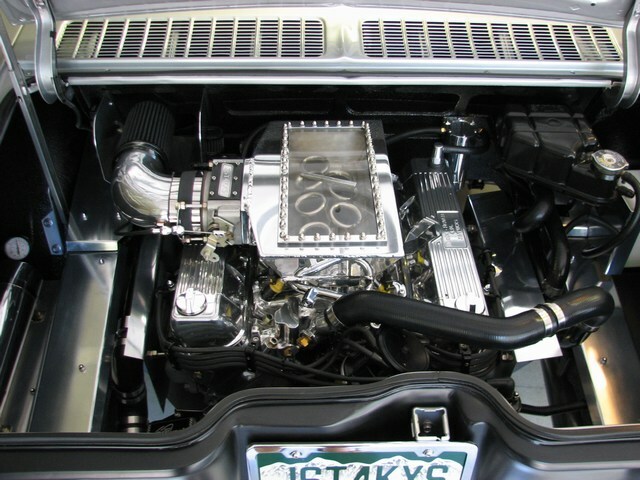 Transmission: '69 4 speed with 3:55 posi 4 spider gear. McCleod dual friction disc. Crown input shaft. Induction: Accel DFI sequential fuel injection, BBK throttle body, custom made air box with equal length velocity stacks. Exhaust: Custom made for rear engine, manifolds and system Jet Hot Coated. Suspension: 1" sway bars, 4 wheel disc brake, Koni shocks, all parts powder coated, bottom of car belly panned in alumiumn. Custom jack system to lift car using alumiumn I-beams. Cooling: Griffin custom radiator, dual fans, coolant transfers front to rear through rocker panels. Stewart electric water pump. Paint/outside of car: Cortez silver cut and polished. 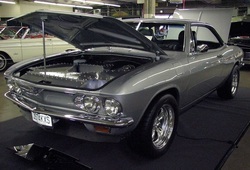 NOS replacement glass throughout, 16x8 American's, BFG 255/50/16, NOS grille, headlight bezels. Interior: Koenig seats, upholstered in orginal material and '66 Corsa pattern. VDO gauges in Corsa dash. Updated orginal AM/FM slider radio. Factory fit wiring harness. Car was built Just For Kicks (JST4KXS). Very fast, fun and reliable.